lithograph: horse-drawn ambulance by Liet. W H Dyson. 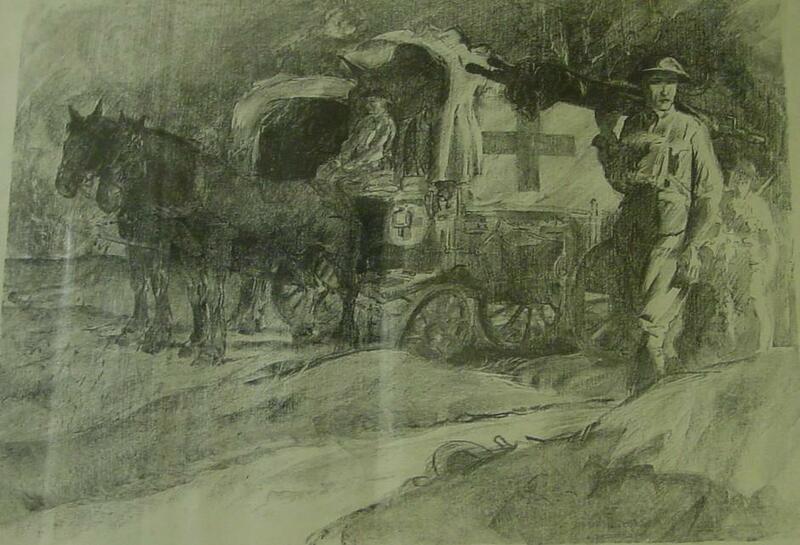 Framed black and white print of a horse-drawn ambulance by Liet. W H Dyson.